Her first real close-up encounter with Ts. 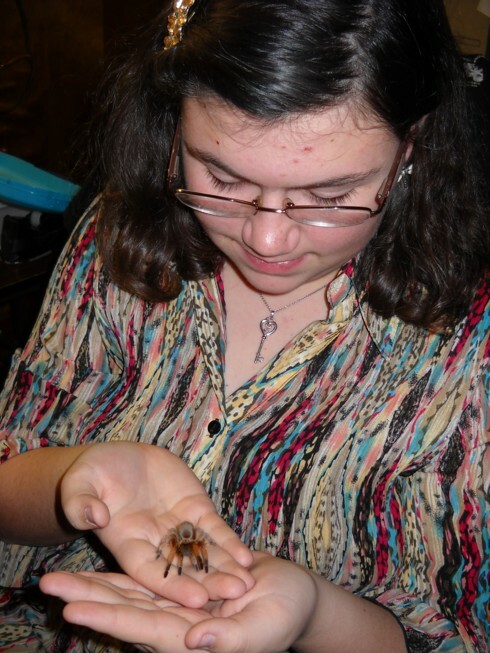 At the Dallas Museum of Science & History Kid's Day, she got to hold Ember, a RCF G. rosea. She fell in love. 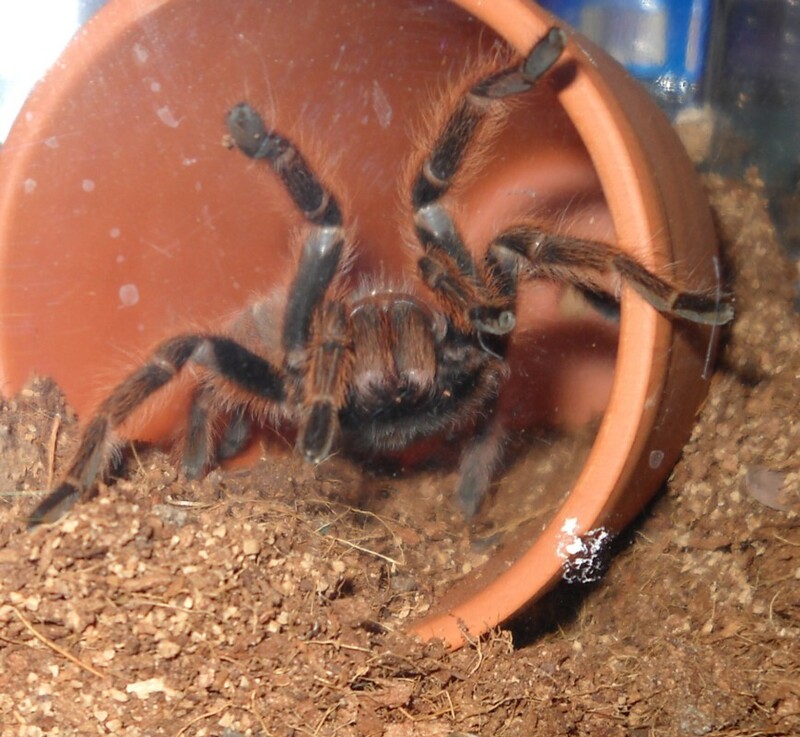 Then she decided she had to hold Top Shelf, my big male A. metallica. Hooked. 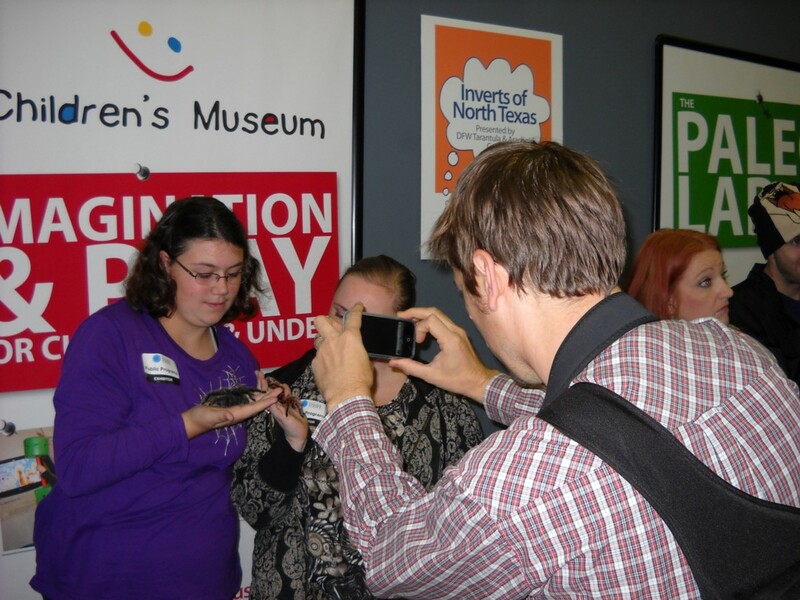 Her photo holding Toppers, along with Alisa holding Ember, appears on the Museum's Facebook page. I shot this photo of the photographer taking that photo. He posted them immediately from his phone. They are still up in the photo album! 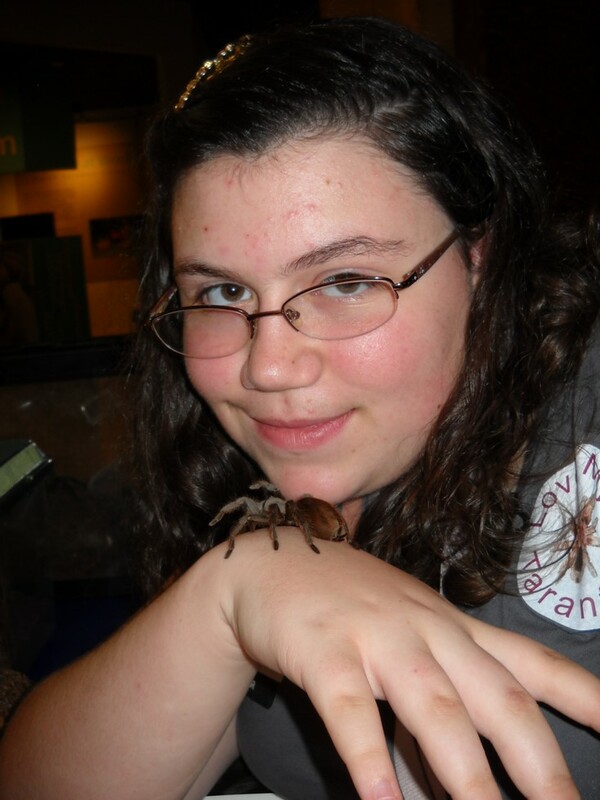 Her first tarantula, Elvenfoot. 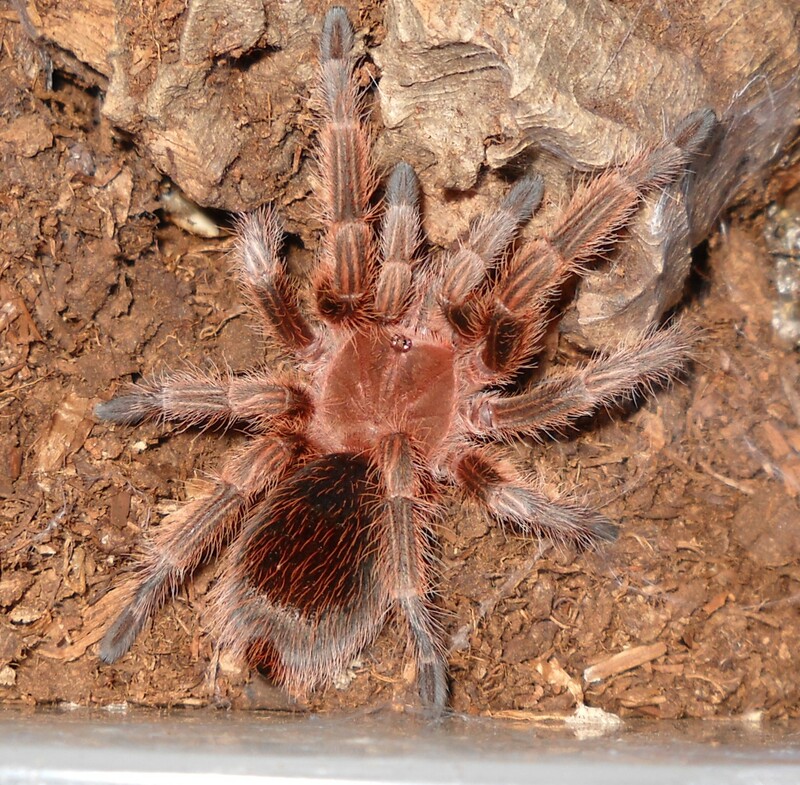 A Red Color Form (RCF) G. rosea, Elvenfoot is still a juvenile. 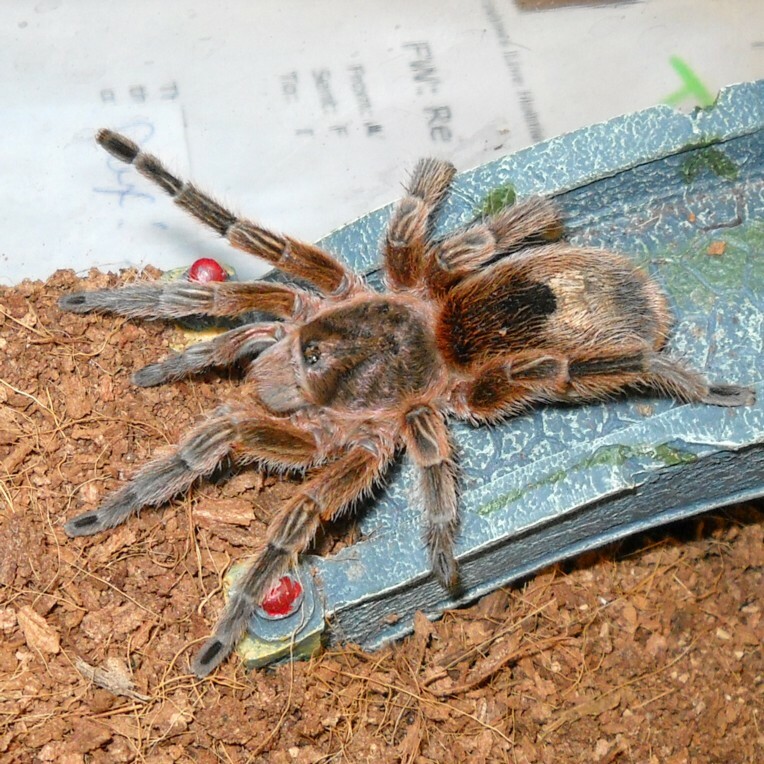 She also has a male, Glenwing (but all my photos of him come out blurry!! 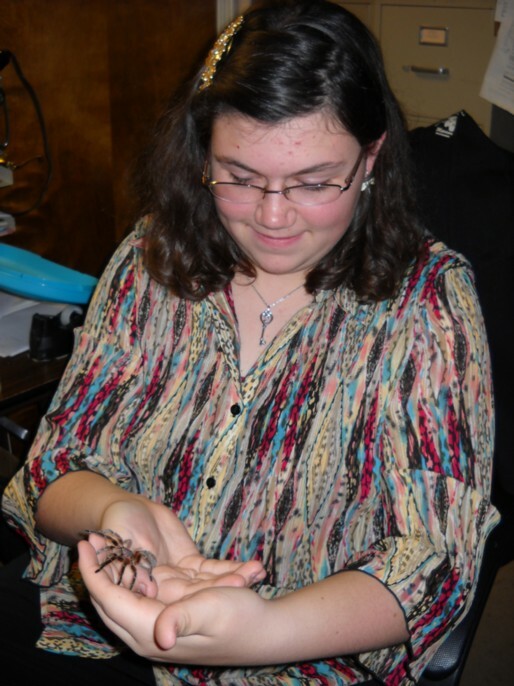 Below left, Quannah, her A. anax (Texas Tan), birthday gift from Reclusa. 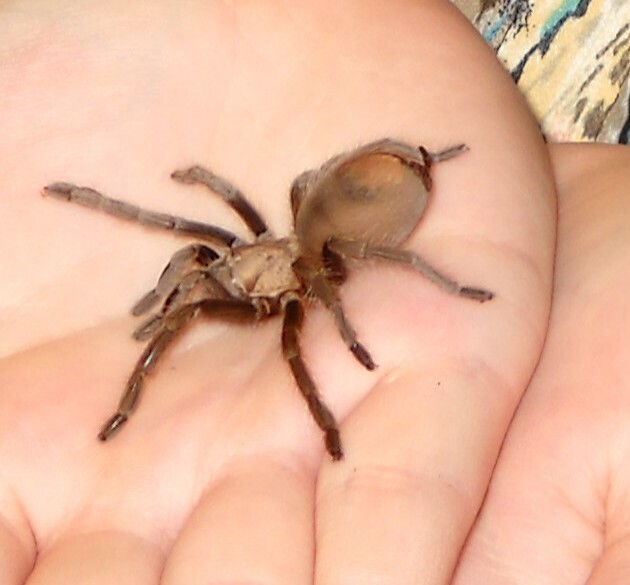 With birthday spider "Amarillo", A. sp "New River". Huzzah! I finally got a decent photo of Glenwing! 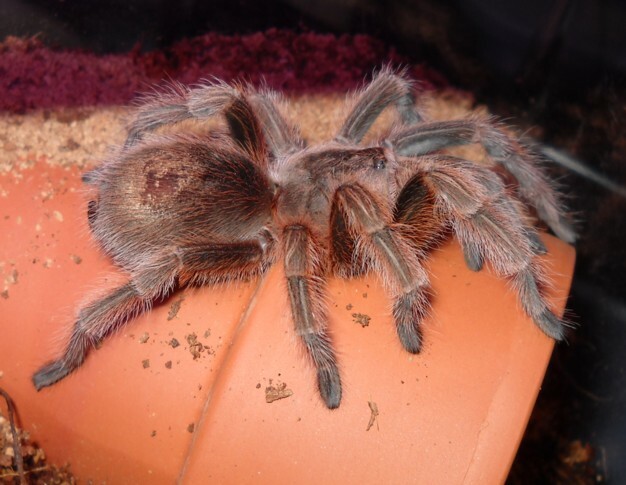 He's now in heavy pre-molt as of May 4th, so we will be eagerly awaiting his molt. And here it is! 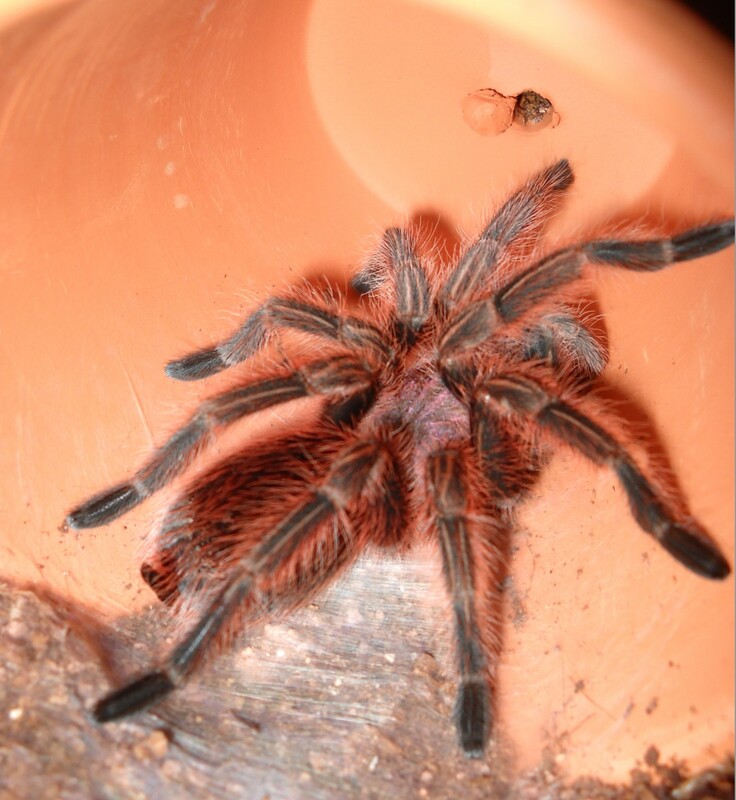 Freshly molted, this RCF G. rosea is one handsome boy! Myryha has a new "baby". 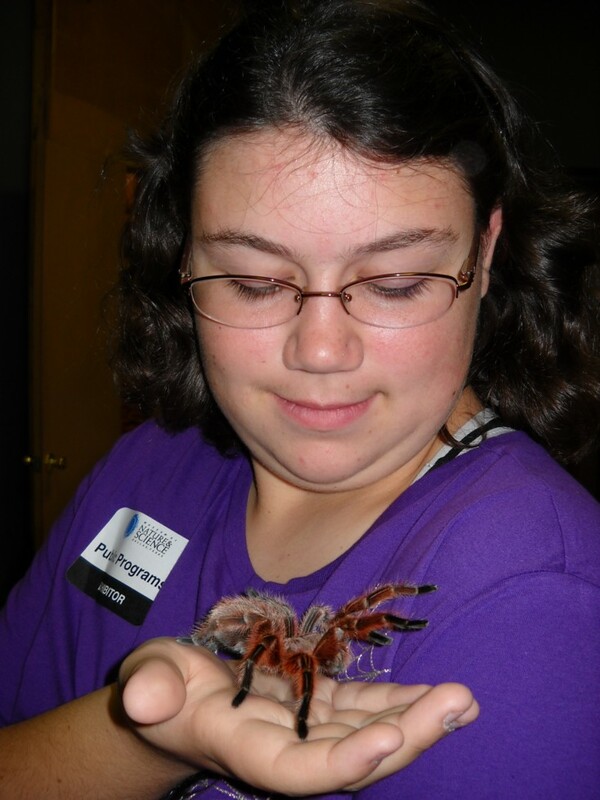 Since most of hers were either in pre-molt or just-molted, she asked for a different T to handle at her second Museum Day. Reclusa brought her two to choose from (though I think she fell in love with the curly-hair...). 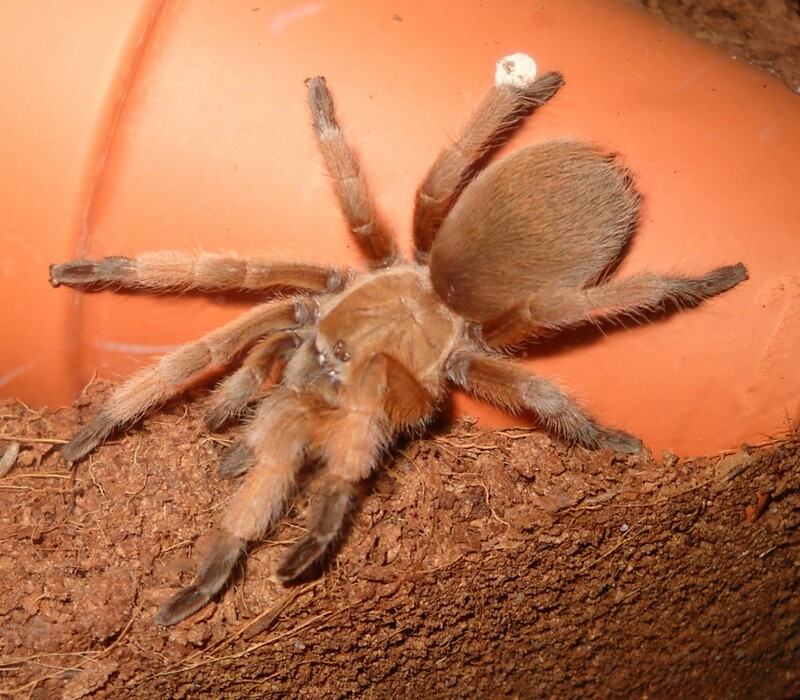 She chose this little Aphonapelma belei, and named it Tasao. 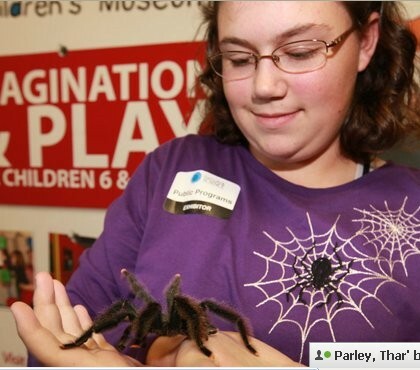 Tasao was very well mannered at the Superpowers Day at the Museum of Nature and Science in Dallas. 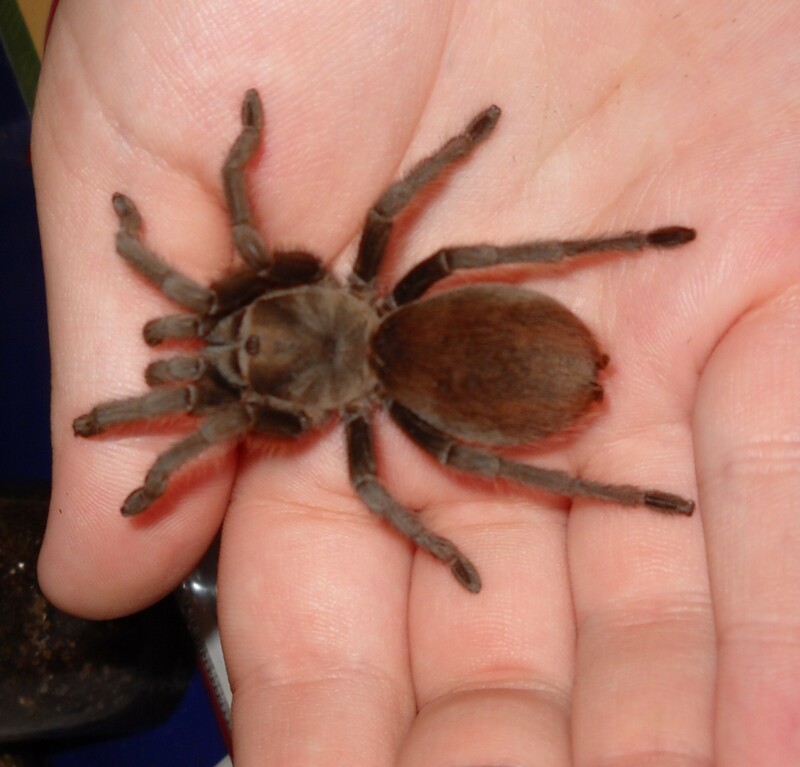 He (she, it) let many people gently pet him, and willingly let himself be transferred from hand to hand. He is now in his new habitat and busily re-arranging everything. All images, unless otherwisde stated, are photos by Leah Patton/Shlei Original Art and are the personal property of the photographer. (C). Do not use without permission.